When you think of skin diseases, gingivitis probably isn't the first thing that comes to mind. But that's exactly what it is! After all, your gums are still skin. And while this may be the only area of skin I won't tell you to apply sunscreen to, you do need to protect it in other ways. Fortunately, a review published in the Journal of Periodontology indicates a great natural way to do that. You may be familiar with essential oils. They've been growing in popularity as a natural way to do everything from ease headaches to relieve stress to speed up childbirth. Well, this review found something else they can do: reduce your risk of gingivitis. 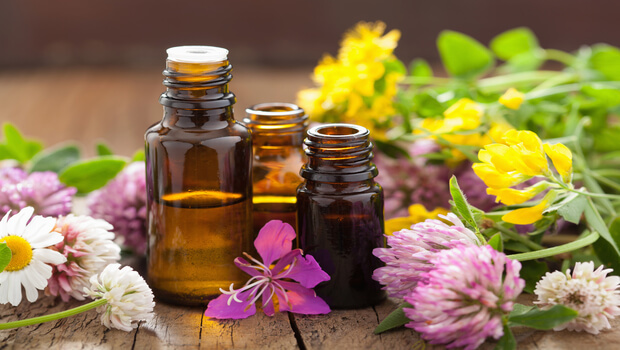 Several studies found that essential oil mouth rinses reduced both gingival inflammation and plaque as well as or better than a control or a placebo. The review study looked at 11 randomized control trials that included adult subjects with gingivitis but without severe periodontal problems. The subjects used essential oil-based mouth rinses twice a day for 30 seconds in addition to brushing their teeth. The studies compared the rinses to a variety of controls, including 5% hydroalcohol mouthwash and dental floss. All the studies lasted for six to nine months. The studies repeatedly found benefit to using the essential oils mouthwash. It reduced plaque, inflammation, and bleeding. This is a great addition to your oral care routine. Just make sure it doesn't replace regular brushing and flossing! Just like the skin on your face, your gums need regular attention to stay healthy and inflammation- and disease-free.